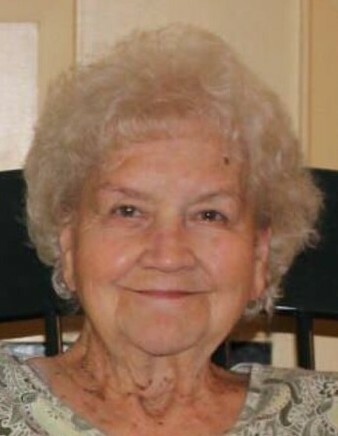 Obituary for Mary L. Sobotor | Spitler Funeral Home, Inc.
Mary L. Sobotor, 86, of Loyalsock Township, died Jan. 23, 2019, at AristaCare at Loyalsock Township. She was born Sept. 2, 1932, in Danville, a daughter of the late Leo and Mildred (Long) Diehl. Mary was an avid bingo player, had worked at the former Carlton Manor, and she and her husband were owners of the former Last Chance Saloon. She also did home health care, and enjoyed her grandchildren. In addition to her parents, preceding her in death were her husband, Kenneth F. Sobotor; two brothers; and two sisters. Surviving her are two daughters, Gwenda (Steve) Fink, of Montoursville and Bonalyn (David) Phillips, of Montoursville; four grandchildren, John (Mary) Phillips, Desiree (Tara) Phillips, Kristen (Tim) Brown, and Steven (Kristen) Phillips; five great-grandchildren, Hayley, Gavin, Ethan, Reed, and Taylor; and a sister, Ruth Krisher, of Danville. A memorial service will be held 5 p.m. Monday, Jan. 28, at Spitler Funeral Home, 733 Broad Street, Montoursville. Family and friends will be received, at the funeral home, from 4 to 5 p.m. on Monday. In lieu of flowers, contributions may be made to Susquehanna Home Health and Hospice, 1100 Grampian Boulevard, Williamsport, PA 17701.